Kick-off is at 12.30pm GMT and the official matchday programme will keep you informed and entertained with all the latest Reds news. This issue features an exclusive interview with cover star Christie Murray, with the Scotland international looking forward to the clash against one of her former clubs. 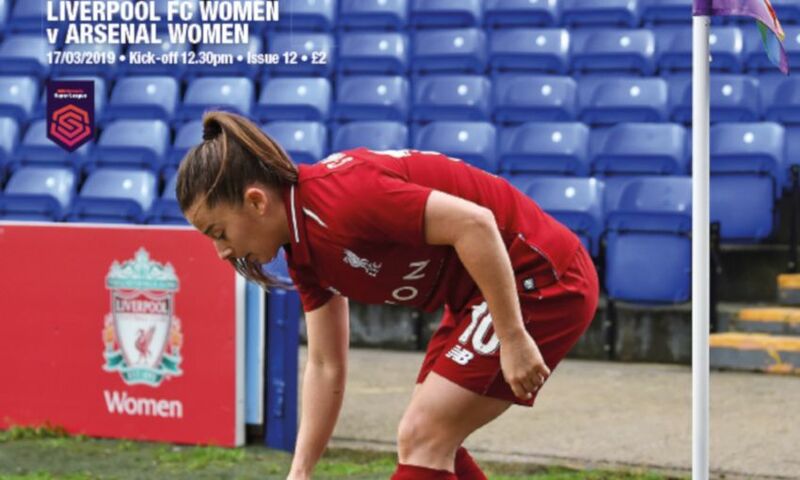 We also speak exclusively to captain Sophie Bradley-Auckland who explains why the team has a point to prove against the Gunners and how support from the stands is so important to the Reds' squad. Elsewhere, we hear from versatile Republic of Ireland international Niamh Fahey, profile the team's latest debutant Bo Kearns and highlight the latest move in the career of ex-Reds attacker Asisat Oshoala. Manager Vicky Jepson offers her thoughts going into the clash and there is the lowdown on our visitors as well as all the latest match action, facts and statistics. Season ticket holders for Liverpool FC and Tranmere Rovers, as well as LFC Members, can gain free entrance to the fixture.